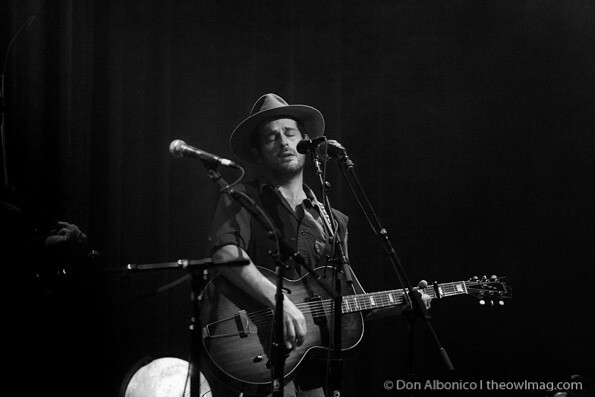 San Francisco holds a special place in the heart of Gregory Alan Isakov. 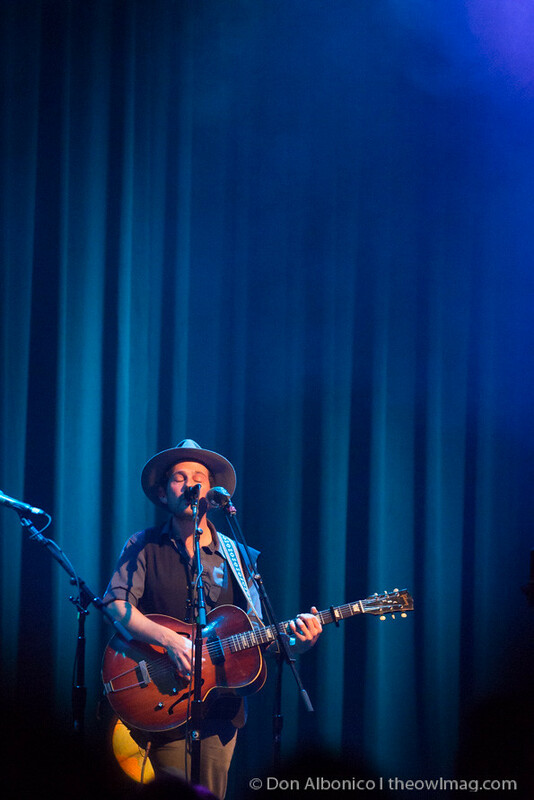 On Thursday night, San Francisco beamed that same sentiment right back into the heart of the Colorado-based singer songwriter with a sold out show at The Fillmore. 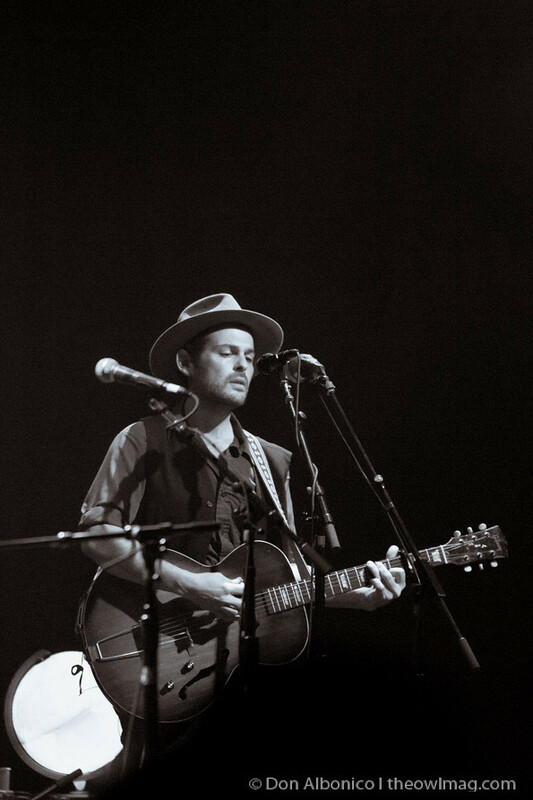 Right from the start of the show, Isakov both literally and figuratively sang the praises of the city by the bay, “San Francisco is our favorite city in the world,” he genuinely proclaimed. Imagine being able to travel around the world with a group of your closest and most talented comrades. That is basically the life of Isakov and his bandmates, all of whom are a very close knit group of friends. 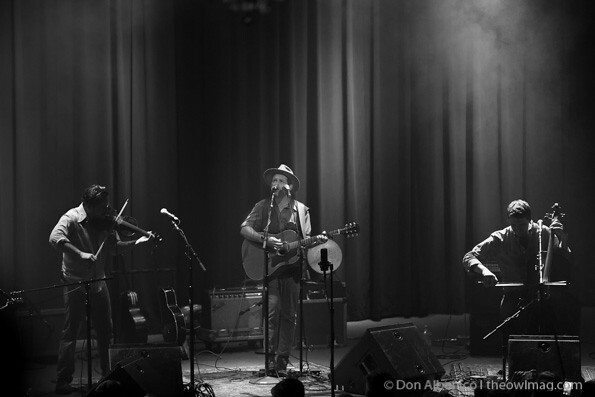 Flanked by Phil Parker on cello to his left and Jeb Bows on violin to his right, Isakov dove right into “Amsterdam,” the first track from 2013’s The Weatherman followed by “This Empty Northern Hemisphere” from 2009’s album by the same name. 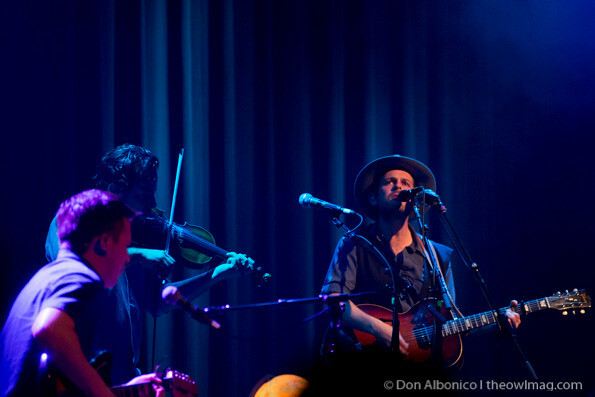 While the guys played the latter song, we imagined what it would be like to see Isakov play backed by a full string orchestra section – the warms tones and lushness generated from Parker and Bows alone was enough to make the hairs on your arm stand up. Coincidentally enough, Isakov noted that the guys had just come from a show in Seattle playing alongside the Seattle Symphony and this past summer, he played a show at Red Rocks with the Colorado Symphony as well. A number of great stories and anecdotes were shared with the crowd but were intimately told as if you and he were the only ones in the room. Notably, Isakov shared a quick story prior to playing “The Stable Song” about Patti Smith and how she covered this song at her show at The Fillmore just one month prior. Listening to his performance of “O’City Lights” made us feel as though we were watching and listening to him perform on a Super-8 film clip due to the old timey sound generated from his harmonica microphone. It took us back to the Dust Bowl era of American life as if you were staring at Dorothea Lange photograph. Isakov continued to weave the thread of love for San Francisco right through the end of his set by closing the show with “Master & a Hound,” a song he wrote in the basement of his parents’ house while inspired by a snow globe of the one and only, San Francisco.